When I was playing around with ideas for the Dresden Challenge, I came up with this mini. It was ultimately set aside, but I do still love it! 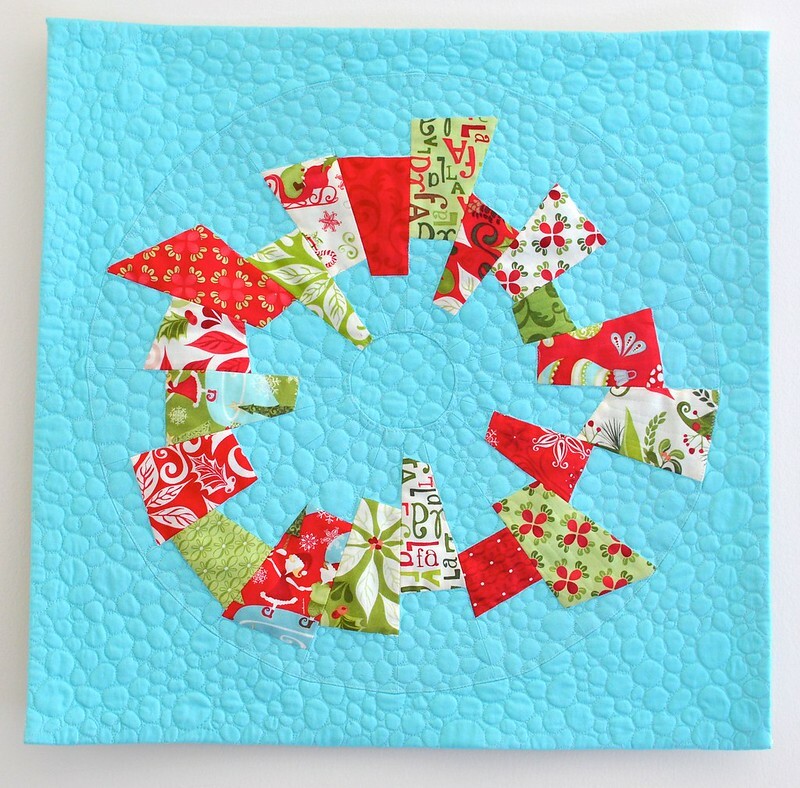 I like the wreath shape that resulted from all of the wonky wedges. 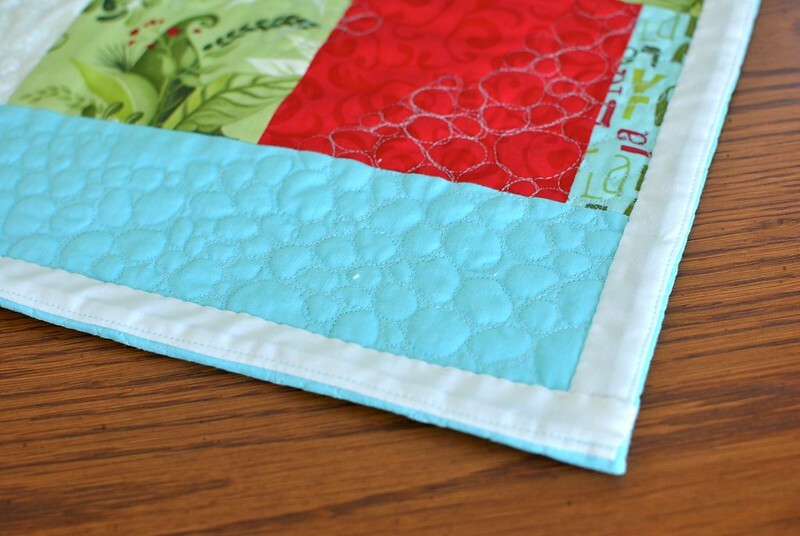 As time consuming as it is, I went with pebble quilting on this piece. 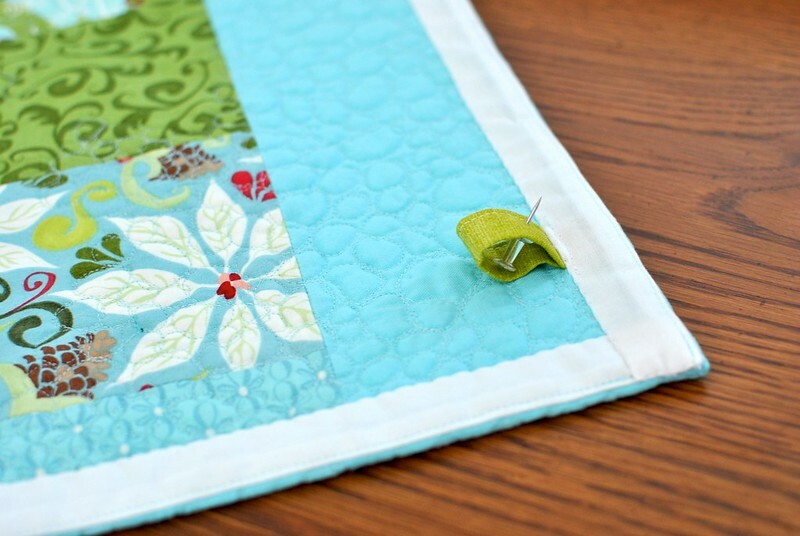 Originally I put some quilting in the wreath as well, but I unpicked that stitching. The pebble background really makes the wreath shape pop, which I love. On the back I included 2 small tabs for hanging. 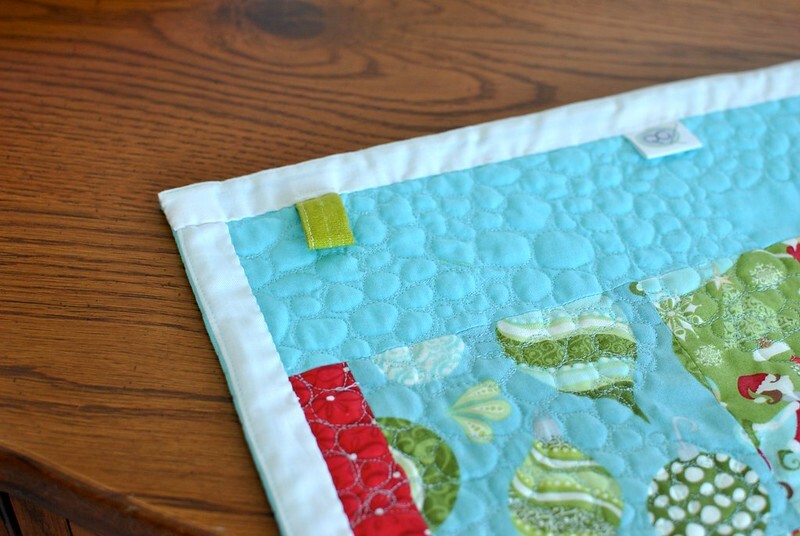 Push pins are great for hanging small quilts, and with the tabs on the back I can hide them from sight and also avoid putting holes in my mini quilts! 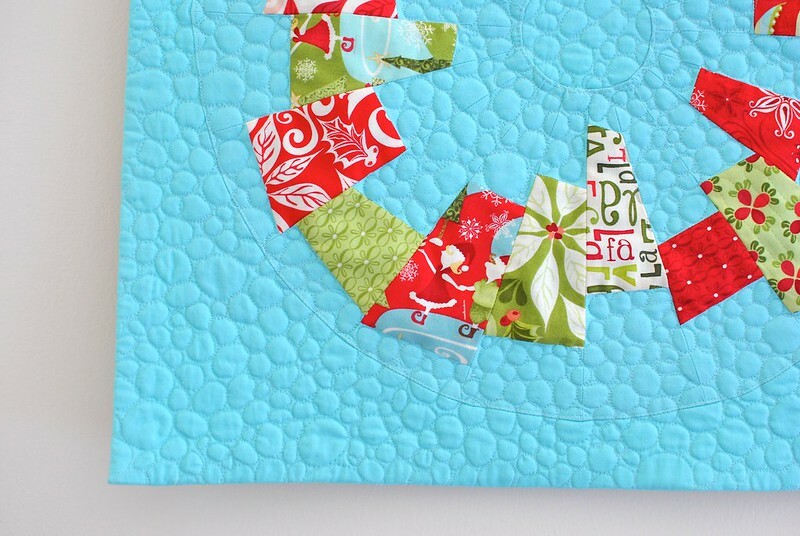 Fabric is 12 Days of Christmas by Kate Spain and Kona in robin egg. 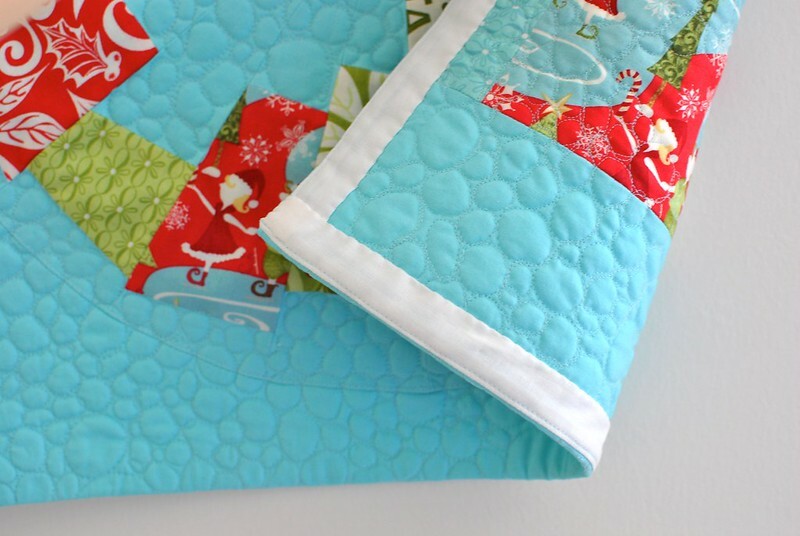 I know it's a bit early for Christmas, but it will be here before we know it! I've listed this mini in the shop!